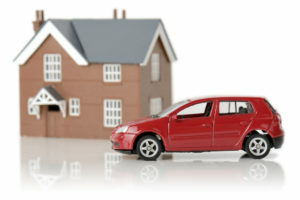 Division of property and assets can be an extremely complex and difficult task during a divorce. It becomes even more complex when a commingled property is involved during the settlement negotiations as deciding who owns the property can be a huge issue, especially if spouses do not keep a detailed accounting record of their assets and transactions during their marriage. Commingled property is a property which is purchased by a couple using a combination of separate and shared financial resources. In such an instance, it can be challenging and hard to identify and trace the funds that were used to purchase the property. Hence, there can be various issues when a court attempts to classify a commingled property. Illinois is a state that follows equitable distributions laws that require a fair split of all shared assets. The division, unlike the name states, is not always equal i.e. 50 – 50, but court attempts to make a rightful distribution among the spouses under the Illinois Marriage and Dissolution of Marriage Act. During property distribution, it is important to give careful consideration when differentiating between separate and marital properties as spouses may not want their separate property to be divided upon dissolution of marriage. When a separate property is commingled with property/properties that were obtained by a couple during their marriage, it is considered as a part of the marital estate, thus the law requires a split of commingled property between spouses. How Can I Avoid Disagreement Over Funds or Property? There can be disagreements over commingled properties during a divorce. Thus, it is always advisable to have a marital agreement between couples in the form of pre-nuptial or post-nuptial contract to avoid such a situation. However, if that is not an option, then spouses must decide among themselves or perhaps keep their name alone on the deeds and not use marital funds for maintenance or paying off the mortgage of the property. If you are considering a divorce and there is a commingled property involved in the negotiation, it can be highly beneficial for your case to procure the services of an experienced divorce lawyer. A seasoned divorce lawyer may also help you to find a financial trial of money that you spent on a commingled property and establish facts that will help you to distinguish your separate property from marital assets, allowing you to keep the possession of your property. Furthermore, leveraging their negotiation skills and understanding of laws and regulation that are applicable to commingled properties, a competent divorce lawyer will be able to negotiate you a favorable option during settlement and construct a strong case in your favor if the case goes to a trial. For further information about issues related to a commingled property or to schedule a free consultation, contact the Law Office of Fedor Kozlov at 847-241-1299 to speak with an experienced divorce lawyer on this topic.